We’re excited to announce that Electric Enjin will be moving into a new office this month! It’s always been extremely important to us here at Electric Enjin to continually try to find ways in which we can become increasingly environmentally conscious as a company and as individuals, but with the planning involved in our new office build and decor, we are putting extra effort into researching ways we can make the new space as environmentally friendly as possible. We’ve found ways we can not only purchase and use more eco-friendly materials but we can also instill habits within our company culture as we move to the new Electric Enjin location. 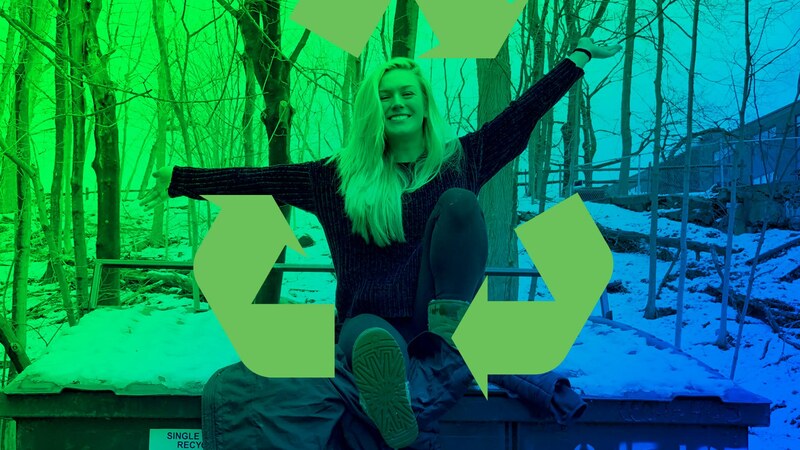 Because Earth Day is the very same weekend as our move-in date (April 22), we thought we’d challenge you to adopt some of the same initiatives we are taking to lessen our environmental impact. Read below for six easy and fun ideas, and let us know if you have other ideas we should use in the new place. Make all office purchases through environmentally friendly suppliers, and use recycled materials when possible. It may not be realistic to eliminate all waste-producing materials, especially in an office setting, where we rely so heavily on computer materials and kitchenware, such as computer paper and paper or plastic coffee cups. If you aren’t able to completely eliminate these products, opt for purchasing only recycled materials or ordering from only environmentally friendly companies. Recycled printer ink, computer paper, and even office supplies are a great option! Fortunately, the need for paper is decreasing ; however, I think we can all agree that we aren’t quite at the point where we can eliminate it completely. At Electric Enjin, our main conference room walls are painted with whiteboard paint, so we can plan all creative concepts on our conference rooms walls. This helps eliminate wasted paper, as does our habit of taking notes digitally. Get creative and find other ways to take notes that make the process more interactive and less wasteful. We definitely plan to carry these habits over to our new office. In an office setting, there is almost a constant use of electricity each day of the week—but also on the weekends when no one is working in the office. This constant power usage results in large costs and an incredible amount of waste. To make a smaller impact on the environment, consider making it a part of company culture to turn off all lights in the bathroom, unplug all electronics each night or over the weekend, and replace all light bulbs with LED bulbs to reduce greenhouse gas emissions by almost one half. Supply the kitchen with reusable materials. This point hits close to home. I drink a ton of water each day and, thanks to my parents’ guidance, have always carried a reusable water bottle with me. I’m continually encouraging the people around me to drink more water, but the fact that so many people still use plastic water bottles as their main means of drinking water poses a great conflict. Yes, we should all be drinking more water, but it’s important that we don’t harm the environment when we do so. Adopt a company culture that minimizes waste by providing reusable cups, water bottles, plates, bowls, and silverware. Keeping a watercooler in the office kitchen and a cabinet stocked with clean, reusable glasses can help you become a step closer to completely eliminating water bottle waste. At Electric Enjin, we all love a good challenge. Whether it’s a game of Mario Cart each night at 5 p.m. (loser buys lunch or does 100 pushups) or a more community-focused challenge—we want in! I recently created my own challenge at Electric Enjin and on my own social media called Three Days Waste Free. Here, I tried my part at producing virtually no paper or plastic waste for three whole days. Once I completed the three-day challenge, I wrote a post on my personal social media accounts with my tips on how to successfully complete the #threedayswastefree goal, and then I challenged five other friends and coworkers to do the same. This challenge not only helped me become more aware of my impact on the environment but also helped me spread the word to others who haven’t yet given much thought to their environmental impact. Take part in #threedayswastefree, or create your own challenge to promote environmentalism in your office and in your employees’ personal lives. Maybe give an incentive to any team member who can contribute a new idea to help make your office more environmentally friendly—whatever works to make it fun and effective! At Electric Enjin, we’re always thinking of ways to include the community in the things we care most about. We recently held a dog adoption event at our office and plan to have an Earth Day event to help our surrounding community make a positive impact on the environment. Work with your team to come up with a way to hold, or even simply take part in, a community event that will help the environment. This can include a garbage pickup or a tree-planting party in a forest nearby. A simple way to make a quick but effective impact is to take part in a five-minute beach cleanup, which is something that is trending on Instagram (make sure to tag #fiveminutebeachcleanup and your location to spread the word). What is so impactful about #fiveminutebeachcleanup is that, because it is only a five-minute obligation, it is a great doable initiative that it is being completed by several individuals and groups throughout the entire world. Plus, is always fun to see how your goal to help preserve our earth can affect the community not only around you but also around the globe. Did we miss anything? We’d love to hear your ideas for other fun and quirky ways we can incorporate environmentalism into our new office and culture. Also, we love guests! Come and visit us at our new office in South Norwalk, Connecticut, after Earth Day to check out the new space and catch up.